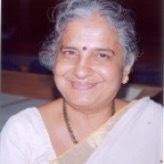 Sudha Murthy according to Wikipedia is Indian engineer, teacher, philanthropist and writer in Kannada and English. Murthy began her professional career as a computer scientist and engineer. She is the chairperson of the Infosys Foundation and a member of public health care initiatives of the Gates Foundation. She is also one of the most prolific authors I have ever read and this two book tells two personal stories she faced in her life. The first one is The Day I Stopped Drinking Milk which tells our author story as she visited the State of Odisha which although is poor but have rich and beautiful natural sights. , she said, ‘Akka, if you hadn’t helped me, I don’t know where I would have been today—maybe a beggar, a prostitute, a runaway child, a servant in someone’s house … or I may even have committed suicide. You changed my life. I am ever grateful to you.